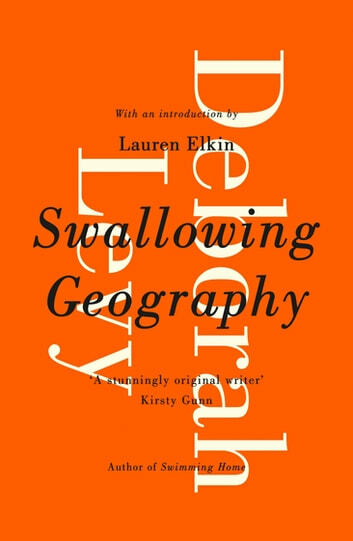 Swallowing Geography | Rakuten Kobo. Swallowing Geography is a stunning early novel by the Man Booker-shortlisted Deborah Levy. Embedded in this beautifully written novel is Deborah Levy's gift for blending fairytale with biting satire. Through the voice of the irreverent and ironic narrator J.K., Swallowing Geography interrogates the yearning of discontented children, imagined homes and strangers and histories at the turbulent close of the 20th century. Deborah Levy writes fiction, plays and poetry. Her work has been staged by the Royal Shakespeare Company, and she is the author of highly praised books including The Unloved, Things I Don't Want to Know, Beautiful Mutants and Billy and Girl. Her novel Swimming Home was shortlisted for the 2012 Man Booker Prize, 2012 Specsavers National Book Awards (UK Author of the Year) and 2013 Jewish Quarterly Wingate Prize, while the title story of her most recent work of fiction, Black Vodka, was shortlisted for the 2012 BBC International Short Story Award. Life Cycles - A London bike courier decided to cycle around the world. 169 days later, he came back with a world record.